Do you wear glasses ? Four simple questions, and the chances are you are able to respond “yes” to at least one of them. You would probably not consider any of these questions to dictate whether you are alive or dead. But had you lived in Cambodia in the mid to late 1970s, the chances are you would not be alive today. The Khmer Rouge came to power in Cambodia in 1975 and immediately instigated a radical program that isolated the country from all foreign influences, closing hospitals, factories and schools, abolishing banking and currency, outlawing all religions and confiscating all private properties. People were relocated from urban areas to collective farms outside of cities where forced agricultural labour was introduced. 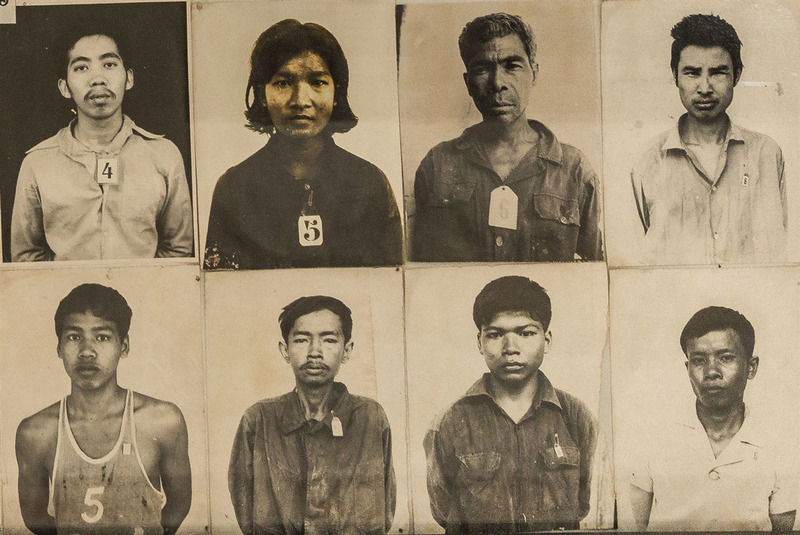 This was done to achieve the Khmer Rouge ideal, a nation of peasants working in an agrarian society where family, wealth and status were irrelevant. In Phnom Penh and other cities, people who refused to evacuate would have their homes burned to the ground and would be killed immediately. The evacuees were sent on long marches to the countryside, which killed thousands of children, elderly people, and sick people. In these forced labour camps, Cambodians were expected to produce three tons of rice per hectare. Before the Khmer Rouge era, the average was only one ton per hectare. The total lack of agricultural knowledge by the former city dwellers made famine inevitable. Rural dwellers were often unsympathetic or too frightened to assist them. Such acts as picking wild fruit or berries was seen as “private enterprise” and punished by death. 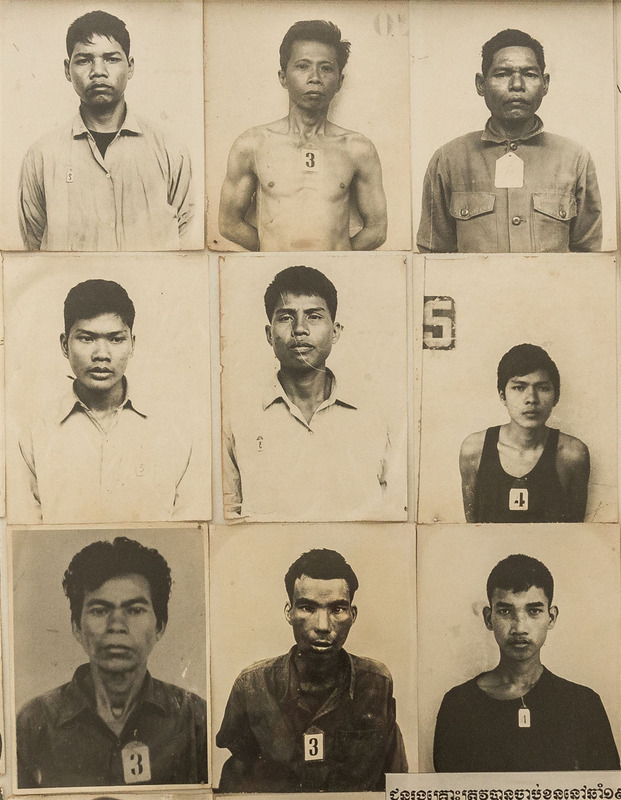 The Khmer Rouge forced people to work for 12 hours non-stop, without adequate rest or food. These actions resulted in massive deaths through executions, work exhaustion, illness, and starvation. Money was abolished, books were burned, teachers, merchants, and almost the entire intellectual elite of the country were murdered to make the agricultural communism, as their leader Pol Pot envisioned it, a reality. 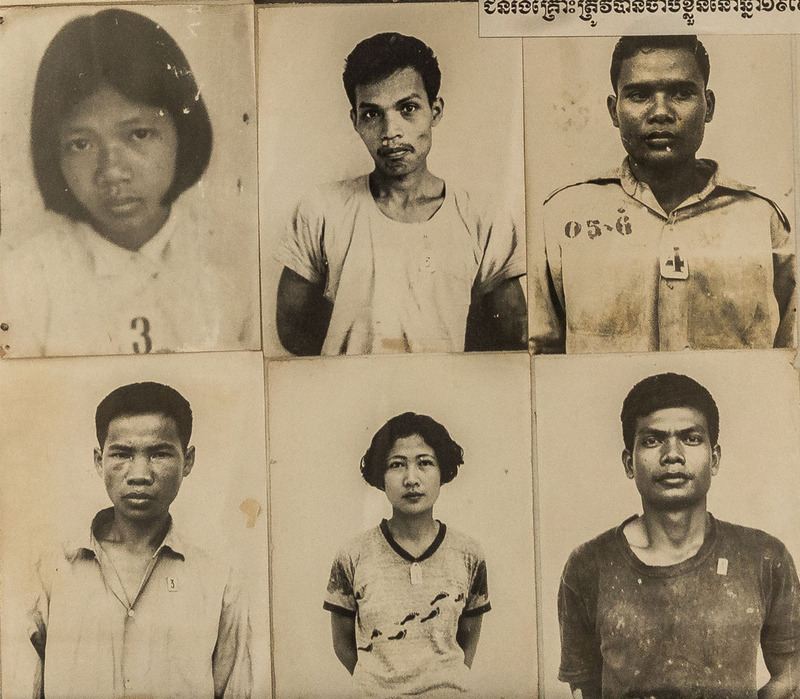 During their four years in power, the Khmer Rouge overworked and starved the population, at the same time executing selected groups who they believed were enemies of the state or had the potential to undermine the new state. People who they perceived as intellectuals or even those who had stereotypical signs of learning, such as glasses, would also be killed. All religion was banned by the Khmer Rouge. Any people seen taking part in religious services or rituals would be executed. Several thousand Muslims, Buddhists and Christians were killed for exercising their beliefs. Family relationships not sanctioned by the state were also banned, and family members could be put to death for communicating with each other. Married couples were only allowed to visit each other on a limited basis. If people were seen being engaged in sexual activity, they would be killed immediately. Almost all freedom to travel was abolished. 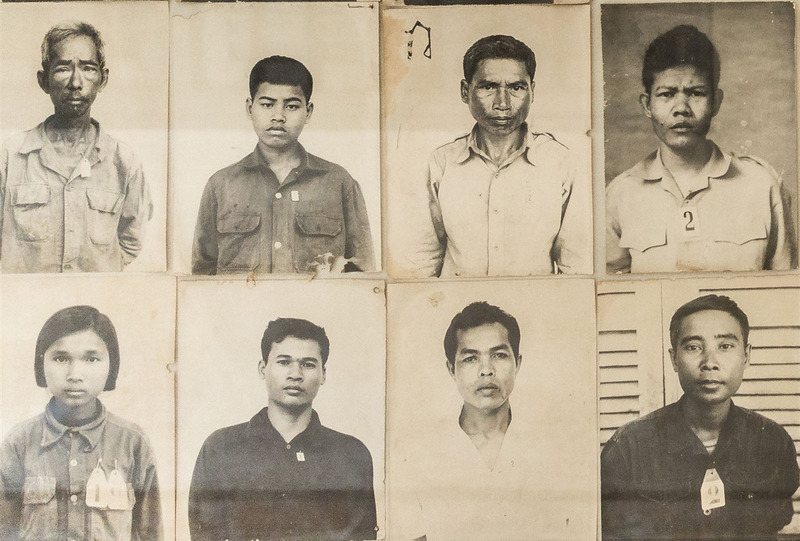 Almost all privacy was eliminated during the Khmer Rouge era. People were not allowed to eat alone, instead, they were required to eat with everyone in the commune. All personal utensils were banned, and people were given only one spoon to eat with. Family members were often relocated to different parts of the country with all postal and telephone services abolished. It has been estimated that between one to two million people, around 20% of Cambodia’s population, died under the Khmer Rouge. Early in 1978 Vietnamese villages close to the border started to be massacred, this sparked an Vietnamese invasion force of 100,000 to enter Cambodia, and just 17 days later the Khmer Rouge era had ended. 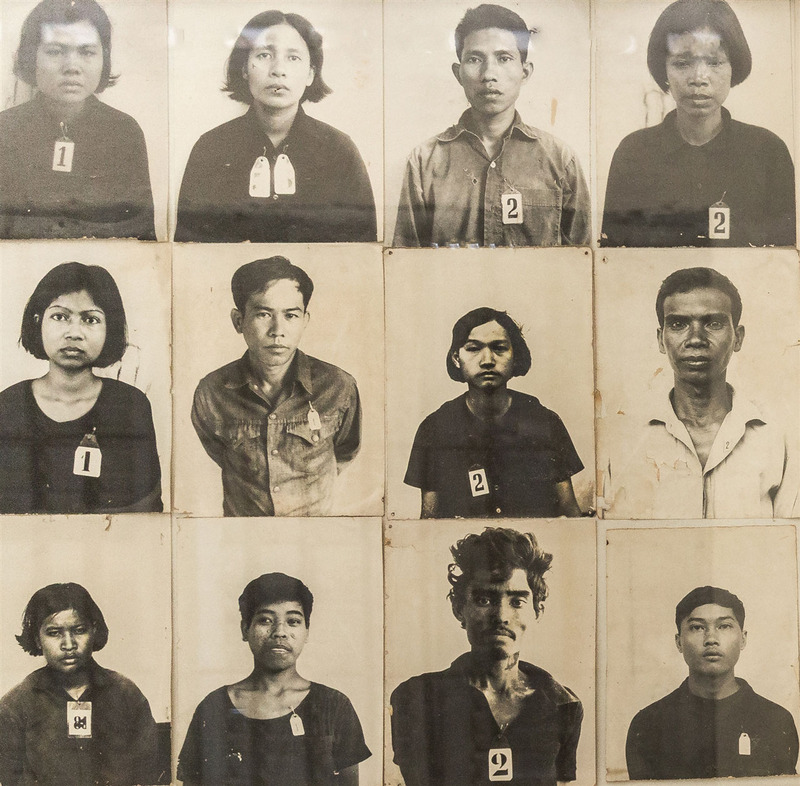 The Tuol Sleng Genocide Museum was the notorious Khmer Rouge prison known as S-21. Through the gates of this former school up to 20,000 people passed to their deaths. S-21 was an interrogation centre designed for the educated and elite. It is here that doctors, teachers, military or government personnel were detained, tortured, and slaughtered. Even the babies and children of the educated were included and murdered, to prevent them one day seeking to avenge their parent’s death. Words don’t really exist for how you will feel visiting this museum. It will cast a shadow over everything for a few days as the comprehension of what happened to this country and it’s people sinks in. I confess I was a little ignorant to these events prior to my visit, it all happened when I was less than 10 years old. 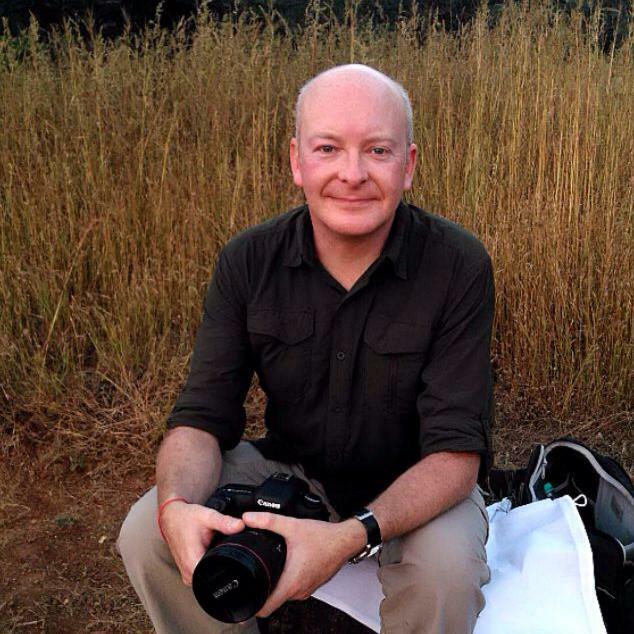 For a travel photography blog you might be wondering where all the photographs are ? I just didn’t feel compelled to use the camera aside from the first 10 minutes when nothing of the horrors associated with the place had become truly apparent. In Block B on the ground floor there are a series of black and white photographs of victims, their eyes expressing a variety of emotions from fear though defiance to utter emptyness. These I did photograph, as you can see above, I felt it was in some small way preserving their memory. 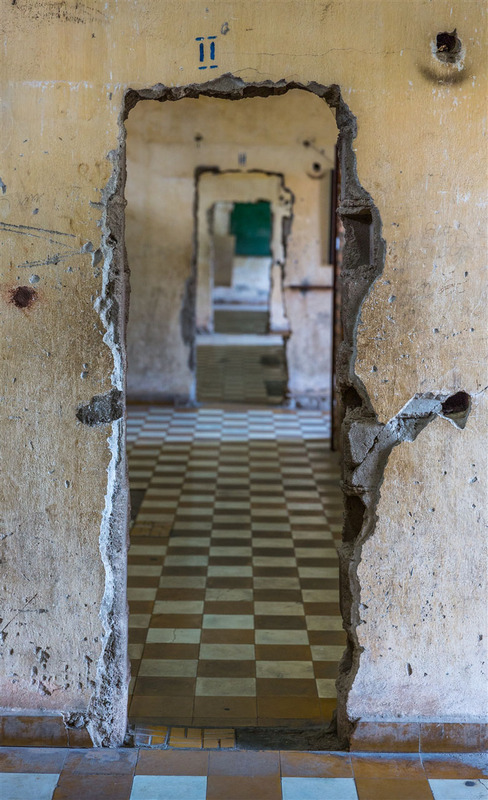 It’s an emotional and draining experience visiting the Tuol Sleng Genocide Museum. You feel utterly empty, a void, not able to really think or talk straight for some time afterwards. You’ll be consumed by silence, and all you will want to be consumed by is silence. It’s a difficult to thing to do, but it’s equally important to become more aware of what happened to the country and it’s people. Cambodian’s are hugely proud people who feel this part of their history has not really been given the exposure nor awareness to the world. They are keen to move on, but they will never forget. 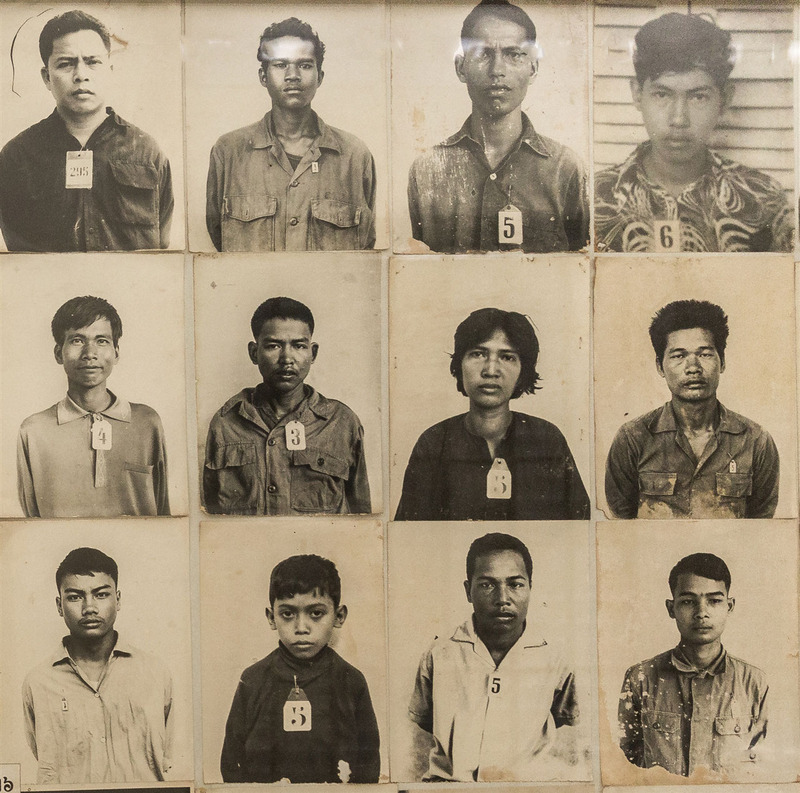 The Tuol Sleng Genocide Museum is open daily, 7.30am – 5:30pm. One of the best post till date, Kevin. This is truly like a documentary and I couldn’t stop reading till the end. Nicely depicted. A true learning today. Definitely I would be dead if I was there, I said yes for the 4 questions! Excellente article, kevin. It is important to know about the history, to not make same mistakes in the future. I am looking forward to visit Cambodia one day!